Chaz's School Daze: Why ATRs Voted No On The Contract. Uttar Pradesh Teacher Eligibility Test, UP TET Admit Card 2018 download facility and link is expected to be activated today. Candidates who have applied for the examination are required to download the same from the official website. As per reports, UPTET 2018 Admit Card is expected to be released after 12 noon today on upbasiceduboard.gov.in. Steps and direct link to download the admit card is provided here. lets just vote and move on as the atr pool remains the same forever and ever. Its sad that the doe never addressed the atr issue. I only have one question to the doe and that is why. Why treat people like this especially when your atr pool is just a fraction of the entire teaching force in the nycdoe. A couple of hundred or a thousand or two atrs and eighty thousand teachers. With that being said why keep this pool of people so unhappy? These people dedicate their livelihoods to the better of the system and the kids so to continue this is so so sad and really mind boggling. I can only laugh when I read how the DOE is telling the media that they are encouraging principals to hire veteran ATRs when the truth is so very different. The only thing the DOE is trying to do is to terminate the ATRs by allowing field supervisors (assassins) to recommend to the Superintendent to terminate the ATRs through the 3020-a process. The DOE, with the UFT leadership's complicit assistance, has pushed to reduce the ATR pool by harassing ATRs to resign or retire rather than push principals to hire the ATRs in their district. In particular, veteran ATRs with ten or more teaching experience are being targeted for termination while only untenured ATRs are being picked up. I, of course, as an ATR voted No. Screw that piece of crap, raises under inflation, ATR force placing, (un)fair student funding keeping, joke of a contract. There is systemic discrimination having the UFT complicit. 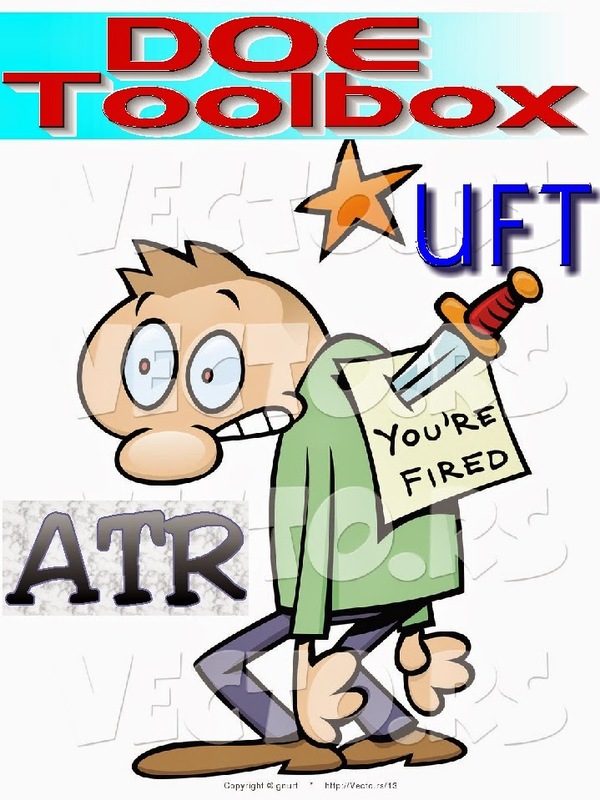 Why would the UFT give a blank check to Field Supervisors coming with an agenda? Many young teachers are uncertified, while ATRs are being harassed by Fiel Supervisors rating ATRs U unfairly. The new contract does not change anything. There will be no more rotations for ATR. You wil remain in your school for the entire year. Starting right now next year. I voted no and I an not an ATR. The raises don't keep up with inflation and who knows what surprise increases in medical the city and Mike Mugew-spelling like that on purpose- have in store for us. I voted no! The ATR Pool, unfair student funding, raises that do not keep up with inflation, and observations still not clearly defined! I know I am missing much more! No! No! No! I voted yes, not to disrespect our ATRs (we have 3 wonderful "Awesome TeacheRs"), but for the simple fact that if we did succeed in a No vote, the UFT would still do nothing in a new round of negotiations with the DOE in regard to ATRs. What I will do, is when Mulgrew is up for re-election, is vote for an opposition candidate, so the people who have allowed this problem to continue unabated can be appropriately penalized. Pensions for new UFT members will become vested after 10 years of service, rather than the current five. New UFT-represented employees will be eligible for retiree health insurance coverage after 15 years instead of 10 years, rewarding those who choose teaching as a career. Those people in the Executive Board of the UFT should be observed out of license, and with students they met for the first time. Chaz, thanks for labeling me "well-respected." I at least try to be thoughtful. I have never approached a contract from my personal self-interest. I try to look at the common interests of members of our union, with a special focus on our most vulnerable members. ATRs are among our most vulnerable members. But ATRs are not our only vulnerable members. All of our lower paid titles are receiving across the board raises on top of the (sub-inflationary) 2, 2.5, 3% raises that all of us get. For our lowest paid members, paras, that works out to raises slightly above inflation. But our paras also get a modicum of due process, where there was none. Suspensions, indefinite, and without pay, can proceed after a single allegation. In many cases, it was impossible to hang on without pay, and the suspension was tantamount to being fired. Establishing due process for vulnerable members is a very big deal. Look, I'm not cheering rah rah for this contract. Our lists of pluses and minuses were quite similar - I think we see the same thing. On balance, though, I think it should have been a yes vote.